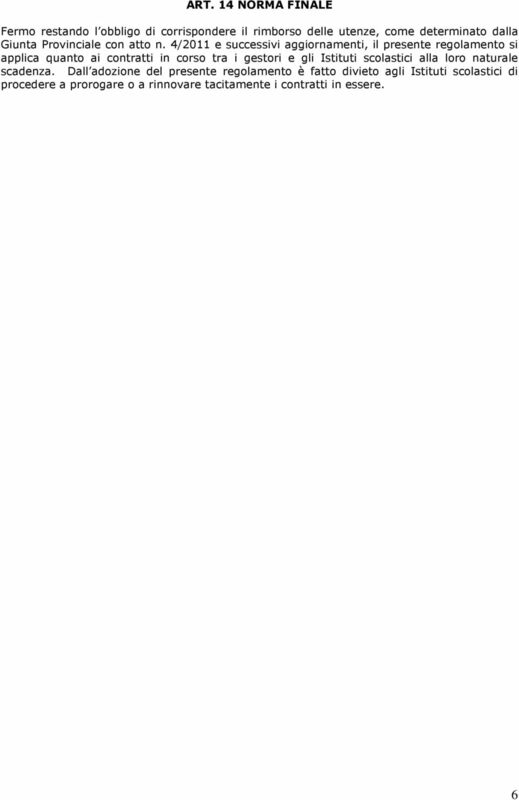 Download "ART. 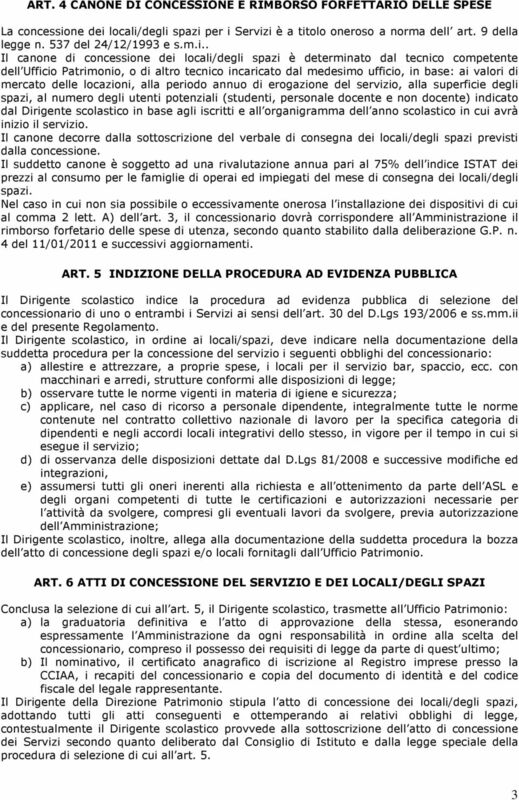 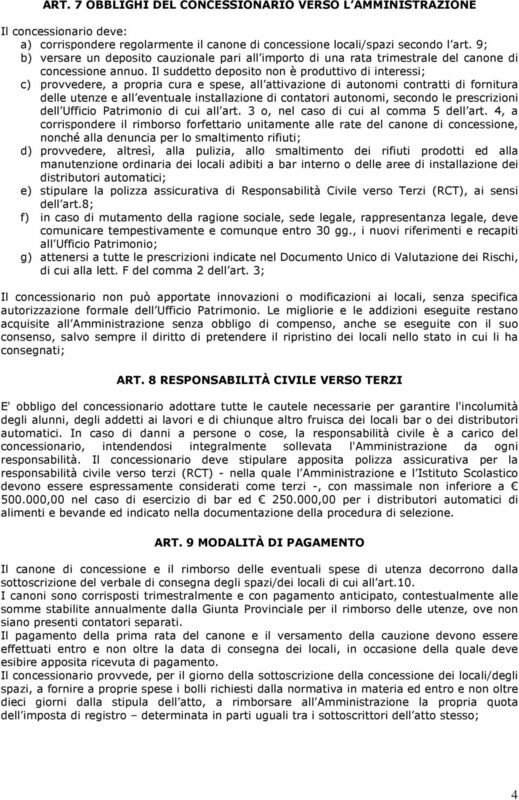 1 OGGETTO E AMBITO DI APPLICAZIONE... 2 ART. 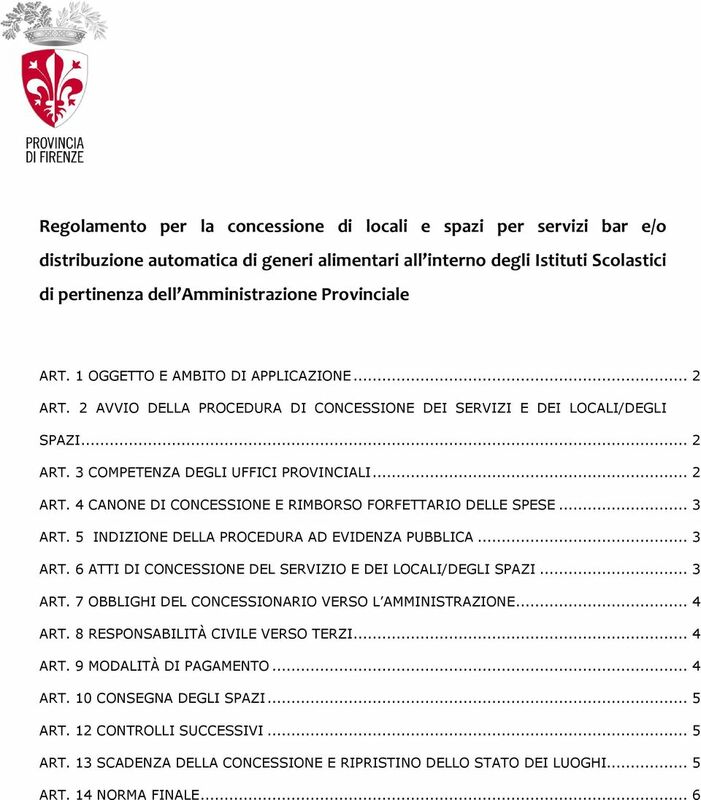 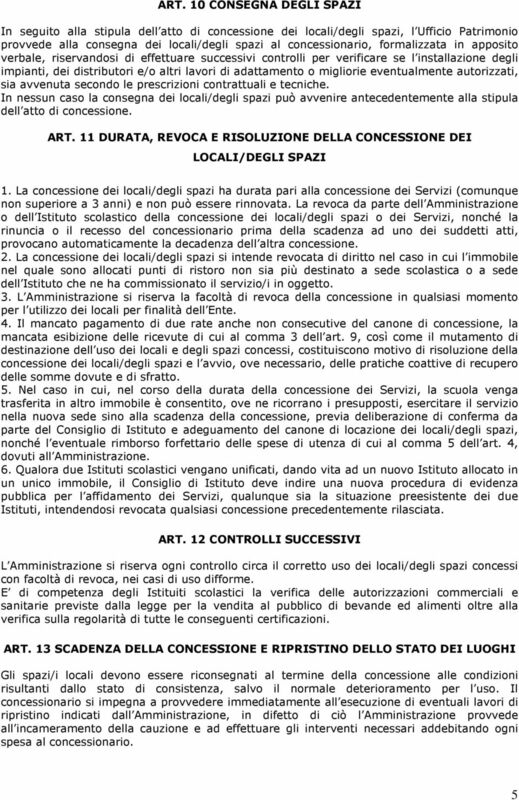 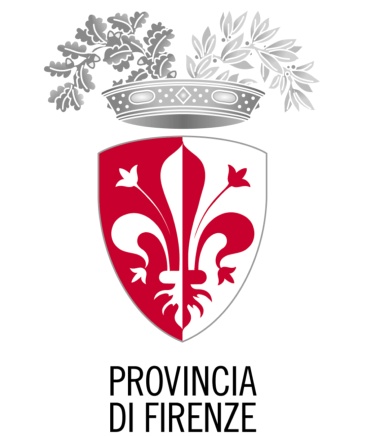 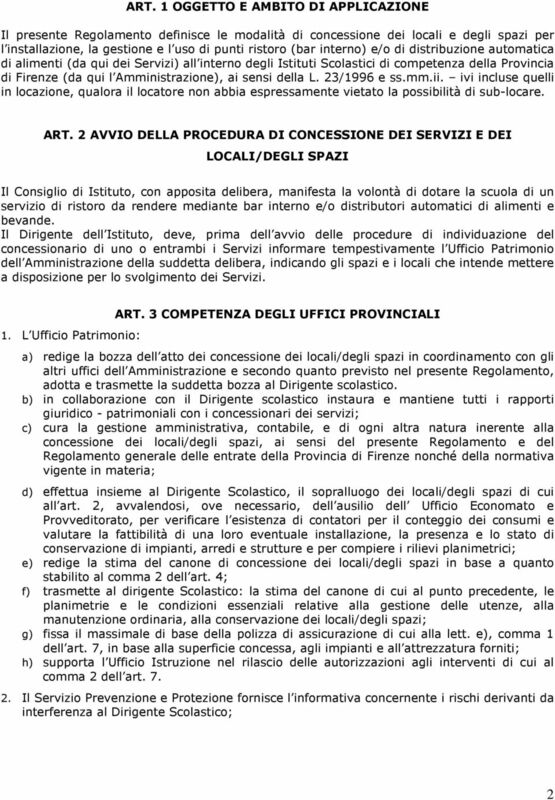 2 AVVIO DELLA PROCEDURA DI CONCESSIONE DEI SERVIZI E DEI LOCALI/DEGLI SPAZI... 2"
CAPITOLATO SPECIALE CONCESSIONE PER L AFFIDAMENTO DEL SERVIZIO DI RISTORO A MEZZO DISTRIBUTORI AUTOMATICI.